Czech this out! In April 2019, Peaks and Pints will host the Tournament of Beer: Northwest Pilsners. Chosen through the nomination process below, the top 64 vote getters — the cream of the crispness — will compete Monday through Friday on our website, April 5-27. Through online voting, Washington and Oregon pilsner drinkers will pick daily winners until the best pilsner in the Pacific Northwest is crowned. It’s just like March Madness, only with way more Saaz hops. The soft water-to-grainy malt battle of Northwest pilsners grand champion will be announced at the Tournament of Beers Party, April 27, at Peaks and Pints in Tacoma’s Proctor District. The final two pilsners will battle live pouring from our Western red cedar tap log with the champion brewery receiving a permanent handle at Peaks and Pints through the spring and summer 2019. 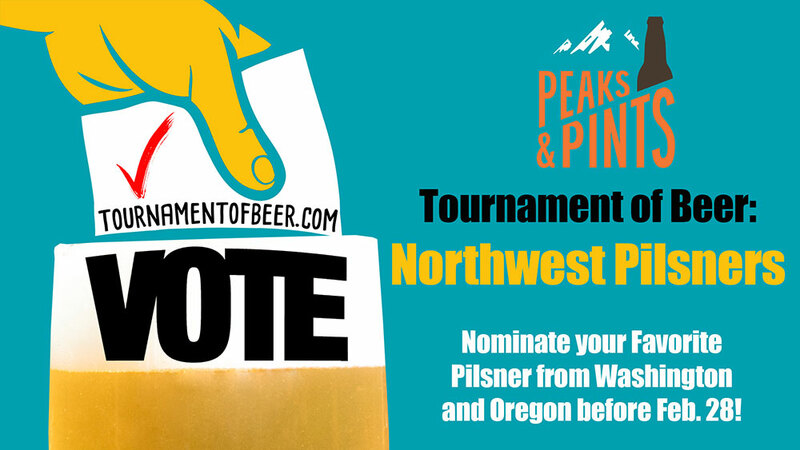 Peaks and Pints will take the top 64 pilsners voted by you and seed the tournament according to most votes, in four regions — King County, Washington state, Multnomah County and Oregon with one pilsner per brewery. What is the best pilsner in the Pacific Northwest? Vote for your three favorites below before midnight Thursday, Feb. 28. We’ll randomly select a ballot to win a $25 Peaks and Pints gift card. 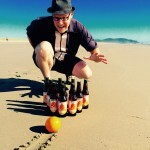 Look for the first round of Northwest pilsner battles April 5 on this website or tournamentofbeer.com.